Elliot’s monthly blog contributions take the reader on the journey of how our solutions and have evolved. In 1992, CallSource® was the first and only call tracking company in the U.S. It was created to help RentLine, an apartment listing service, prove its effectiveness to its advertisers. This process of call tracking was created, and at its core still is, the practice of placing a unique phone number in each marketing campaign, then routing calls from these numbers to the client’s local number. This allows an objective attribution of the calls delivered by each marketing source or ad campaign that contains a call tracking number. In terms of telephone response to advertising, call tracking solved that enigma. Call tracking as a service was born… along with a new company, CallSource®. In those days, we had to explain to every prospective client how we could “magically” identify the marketing source that generated each incoming call. Believe it or not, when we provided data to our clients that compared the effectiveness and cost-per-lead of diverse marketing sources and ad campaigns it was “gee whiz!” technology. Since high speed Internet was not yet available, monthly reports were printed, bound, and mailed to clients. If a client had a fax machine, they could even receive a nightly list of missed calls from the prior day. It was truly “cutting edge” data we could provide to help our clients and their businesses. 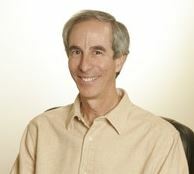 Now twenty-five years later, CallSource® has served hundreds of thousands of customers, tracked more than a billion calls and has had scores of call tracking providers join us in what is now the call tracking industry, and the standard way to prover metrics such as ROI with our analytics and reporting. This, compiled with lead attribution tells the entire customer journey. Marketing can prove end-to-end ROI and sales can attribute KPI’s with their efforts. 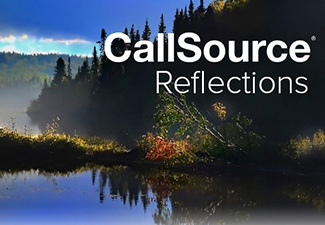 CallSource’s evolution from inventing the industry to leading digital and lead resolution proves there is always room to grow.